We cannot use the microwave and the kettle at the same time or we will short circuit ¼ of the electricity to our office and our neighbour’s too. The joys of having an office in a building built in 1910. Our building is probably haunted. During a Saturday emergency office meeting, we heard children playing in the hallway but we were sure we were the only people in the building. I can only imagine the stuff that may have happened in a building that’s 100 + years old. There is a creepy lady who dresses in a light blue nun’s habit, kind of looks like Jessica Lange from American Horror Stories, who tries to scam donations in the area. 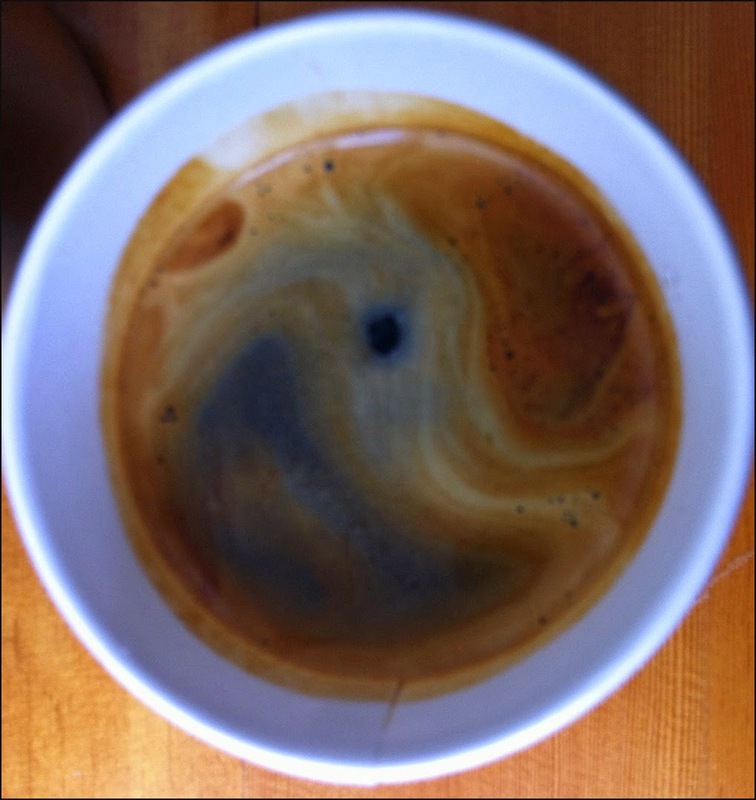 During the first 14 months, I got my morning Americano from Bean Around the World after deciding it was the best option for me via a Food Rumble. However in the last 6 months I’ve become a regular at Timbertrain. I was simply won over by the friendly staff, the customer focused details at the cafe, and most importantly, their better coffee. I immediately noticed that the espresso shots pulled from Timbertrain’s own roasted beans were much lighter tasting but complex at the same time. It was not dark or bitter tasting like my previous Americano. Instead I detected a sweetness and a brightness in their brew. As a result, I have been able to significantly reduce the amount of sugar and cream I need for my Americano. One of the customer focused detail I adore at Timbertrain is they offer, for free, both still and sparkling water on tap. I’ve never seen sparkling water on tap available for patrons to partake at any other café in town. I also love the fact they do have fun with the signage for it. 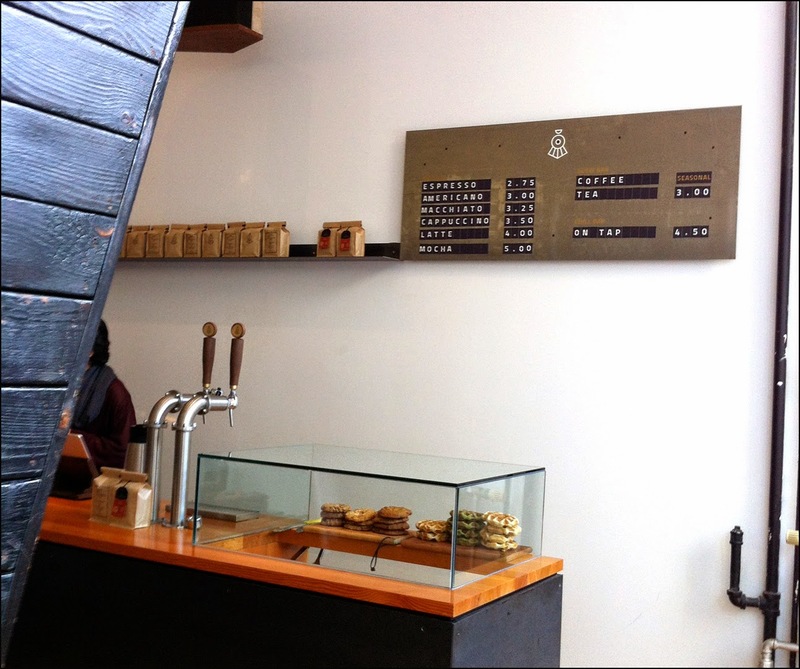 Timbertrain offers a modest selection of outsourced pastries and confections and I think they hit a home run with their partnership with Float On Bakeshop on Fraser. 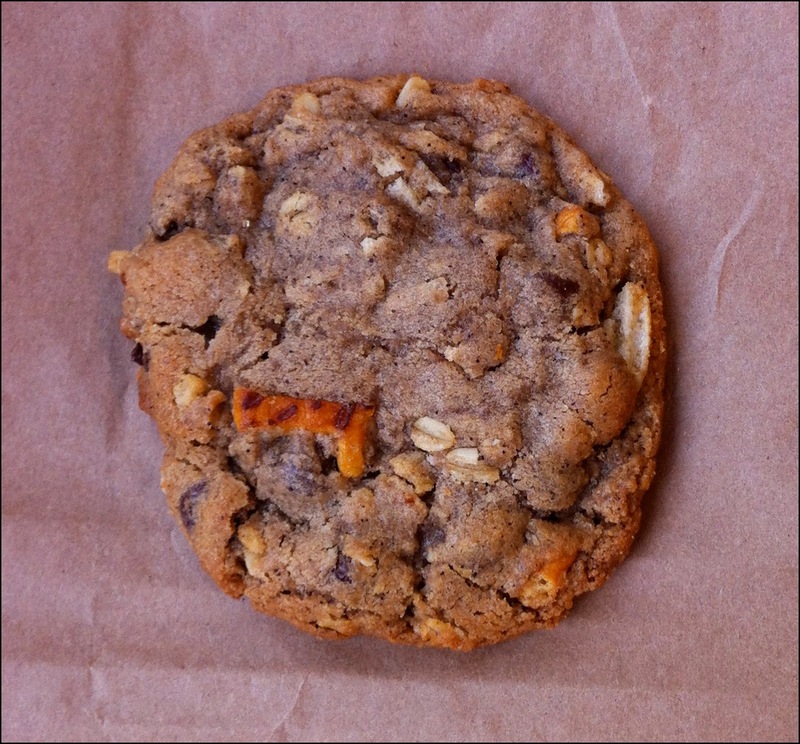 I love the Comfort Cookie baked at Float On and sold at Timbertrain. It is the oddest ensemble of ingredients but so enjoyable and smile inducing. 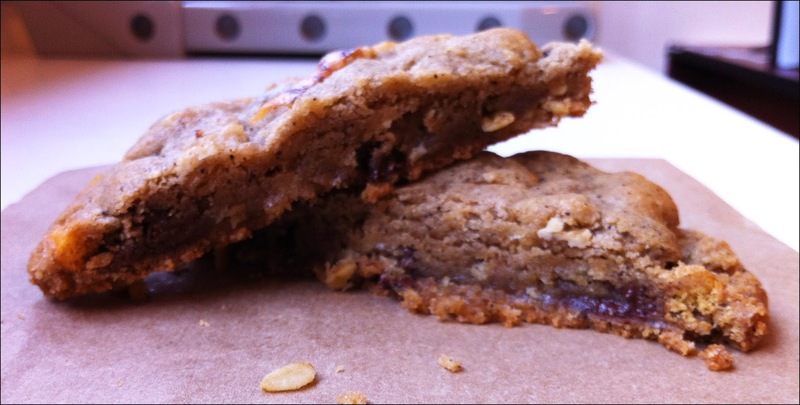 The cookie contains pretzels, ridged potato chips and chocolate. The salty ingredients, the pretzel and chips, added texture and their saltine nature boosted the sweetness and flavours within this sweet treat. The next on my list to try at Timbertrain is the very trendy Cold Brew which they have near their front counter/cashier area. I didn’t realize they offered it until recently and by then the weather had turned; a hot Americano is much more comforting currently. 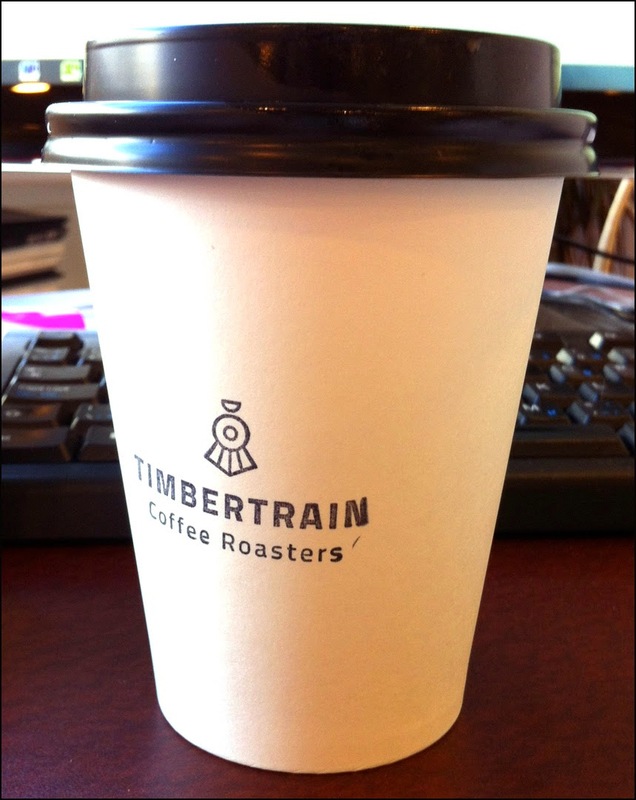 In short, Timbertrain is a modest sized coffee shop but is big on charm and quality coffee. It’s a great place to relax in Gastown.